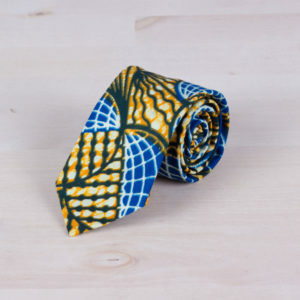 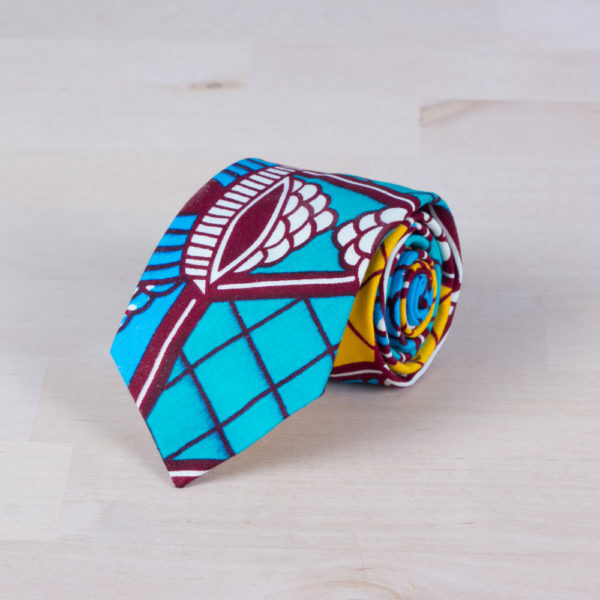 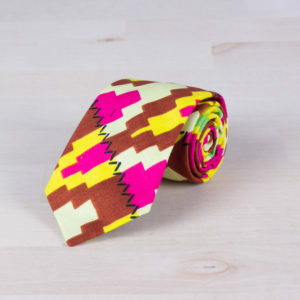 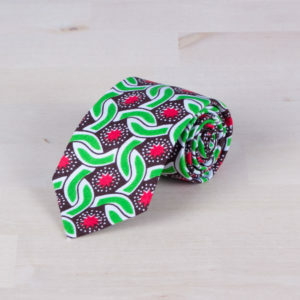 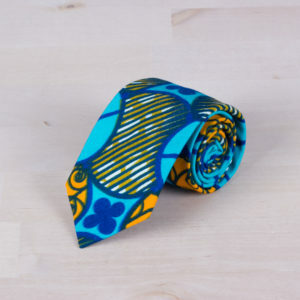 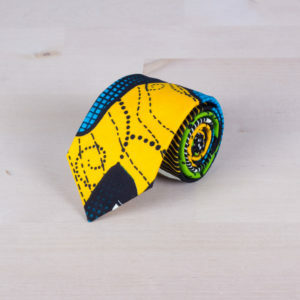 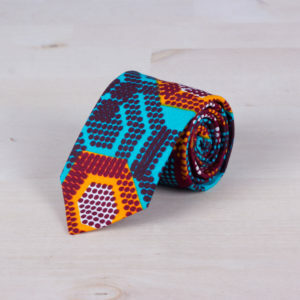 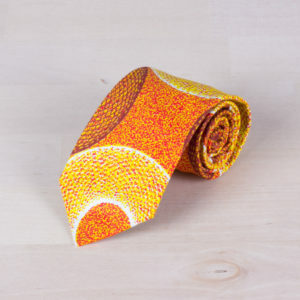 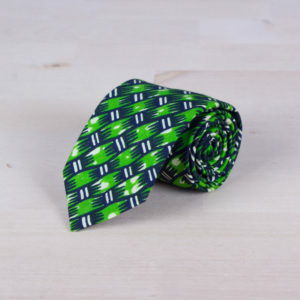 Tie with organic patterns. 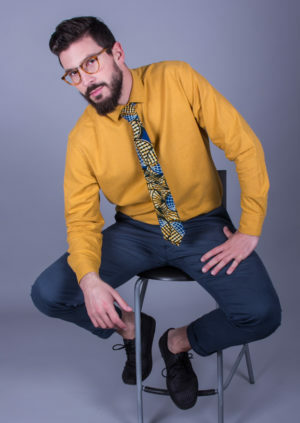 Turquoise, yellow and burgundy shades. 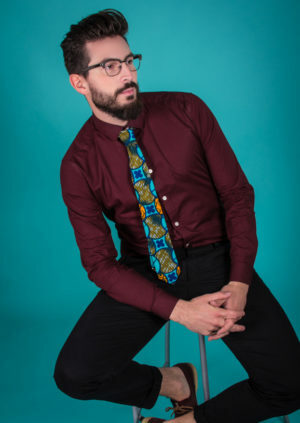 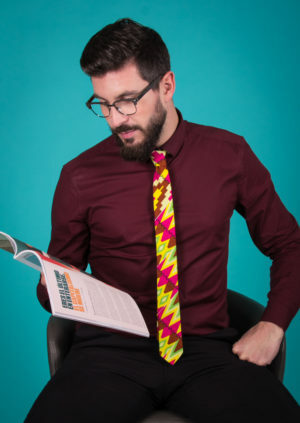 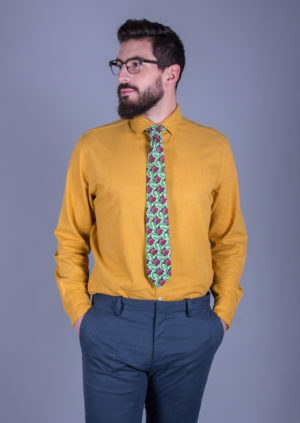 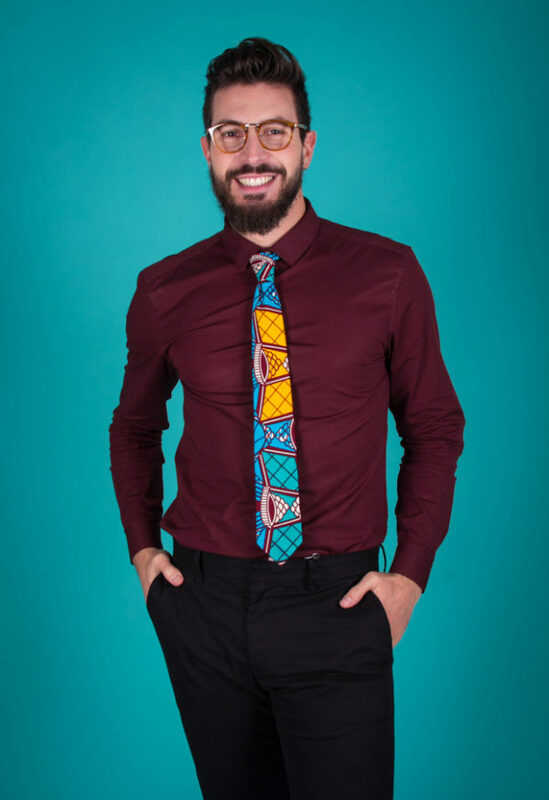 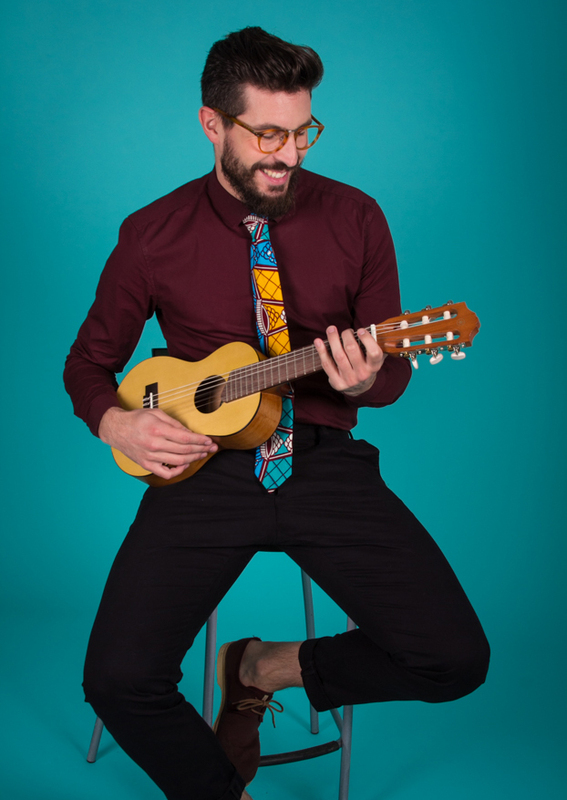 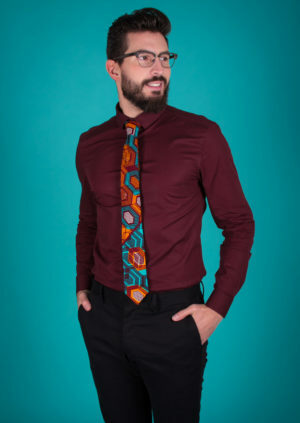 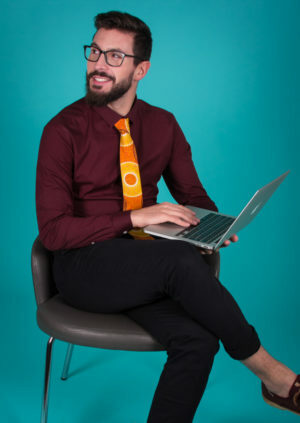 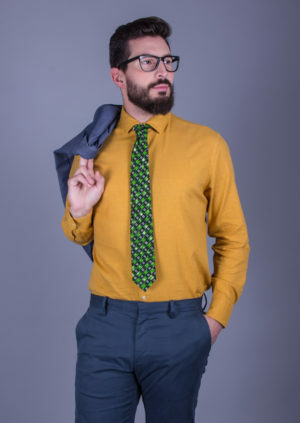 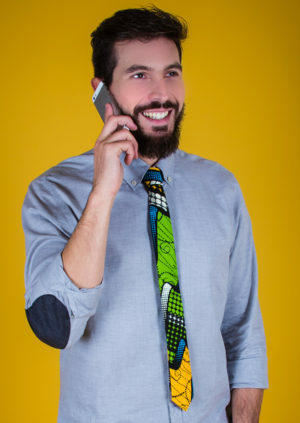 Sergi wears a Casual Tie.